WASHINGTON – Institutional racism, White supremacy and anti-Black attitudes fuel underrepresentation of Black students on college and university campuses across the United States, with access a battle constantly being waged in legal courts and the court of public opinion, according to an academic who addressed the 58th annual meeting of the Council of Graduate Schools this week. 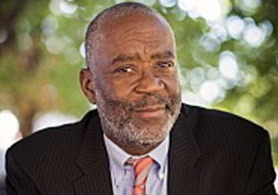 “Anti-Black sentiments are major drivers in inequality, enrollment and degree completion in higher education,” Allen told the gathering’s 700 attendees from 13 nations and five continents at a plenary in an Omni Shoreham ballroom. The four-day conference, which features a wide range of speakers and sessions, concludes Saturday. Allen’s prepared remarks Thursday morning, which centered on Black student degree enrollment and completion from 1976 to 2015, reflected his research background. He used data to reinforce his point that despite much diversity talk and some strong effort, key numbers remain dismal for Black students and overall progress is elusive. Anti-affirmative action efforts are a factor in “severe” underrepresentation of Black undergraduate and graduate students at many colleges, particularly flagship schools, he said. The problem originates in continued segregation and subjugation of Blacks in broader society, as noted in the federal Kerner Commission report of 1968, and policies and practices in higher education perpetuate the problem, Allen said. While Black students are 15 percent of the student population at private four-year schools, he noted, they are only 11 percent of student bodies at public four-year schools. Further, Black students constitute 10 percent of total degree enrollment and completion at only three flagship schools in the nation, even though Black people are 15 percent of the population in 14 states and more than 25 percent of the population in six states. Black student underrepresentation can be better understood by considering critical race theory and legal context, Allen suggested. He cited research data about full-time Black student enrollment and completion at all levels of public higher education over a 40-year period in the 20 states with the largest numbers of Black residents. The numbers – always “stubbornly low,” he said – declined. The drop in Black student representation “is not disconnected from the struggles within the courts of public opinion and the legal courts around Black access and whether it is interpreted as unfair to Whites or in other framings,” he said. When flagship schools and others deemed high on the college food chain restrict admission of Black students, less-prestigious schools that emulate them follow suit. That, Allen said, combined with the growing numbers of non-Black students enrolling at HBCUs, further reduces access to higher education for Black students – resulting in a net loss of Black students overall. “Once the rumor of Black inferiority is accepted, the schools up and down the ladder” curtail access for Black students, Allen said. But there is hope, Allen said. He sees it in programs at some schools that support access and equity for Black students, and in the ongoing commitment of HBCUs, BSIs and MSIs. Past progress suggests that the problems plaguing Black student access and success in higher ed are not intractable, Allen said. Given the decades spent wrestling with racial disparities and the work on diversity, equity and inclusion driven by many at the CGS meeting, Allen said, real change is possible sooner rather than later. Dr. Nicquet Blake, senior associate dean for admissions and student affairs at University of Texas Health Science Center at San Antonio, said there’s an absolute link between Black student underrepresentation at the undergraduate level and the ability to recruit them in her roles as director of the Initiative on Maximizing Student Development (IMSD) program for graduate students in STEM fields and co-director of the Bridges to the Doctorate program in the Graduate School of Biomedical Sciences. Most are first-generation students who are smart but just don’t know how to navigate advanced-degree programs, she said. Dr. Renita Miller, associate dean for Access, Diversity and Inclusion at the Graduate School of Princeton University, said Allen’s remarks caused her to think “more broadly about what is happening,” particularly his observations that not all Asian students support the highly publicized discrimination lawsuit against Harvard University. She agreed with Allen’s assessment that there is hope for achieving equity in terms of access and success for Black college students. And the hope, she said, lies in teamwork.